All of our handsets are delivered to you pre-configured and tested allowing you to simply plug them in and start making phone calls. The Cisco SPA504G is Cisco's 4-line business desktop IP Phone within the Cisco Small Business Pro product family. 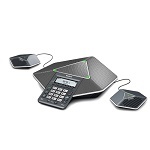 The Cisco SPA508G is Cisco's 8-line business desktop IP Phone within the Cisco Small Business Pro product family. It features dual 10/100 Ethernet ports, 2.5mm headset jack, HD Voice codec, and support for SIP or SPCP. 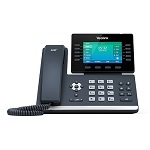 The Cisco SPA525G2 VoIP phone is a 5 line SIP phone featuring a 3.2in high resolution colour display and HD Voice. Yealink Power supply unit for Yealink IP Handsets - SIP-T19P, T19PE2,T21, T23, T40, W52 series IP phones. Once you select quantity for all equipment you want to purchase, click Buy Equipment.